Real estate agents need to look outside of the industry for ways to automate business processes. Better stated, look for tools that will help you be better at running your business, not just being better at selling houses. By connecting your print and electronic outreach with a tool like Marketo, you can build a powerful, permission-based contact list. This isn’t talked about a ton in real estate circles, but knowing whom to contact with what message is critical to effective marketing. You don’t want to share with a current listing client an email about how well you help buyers get the right price. However, if you haven’t segmented your contacts, that probably happens. And it won’t look good. 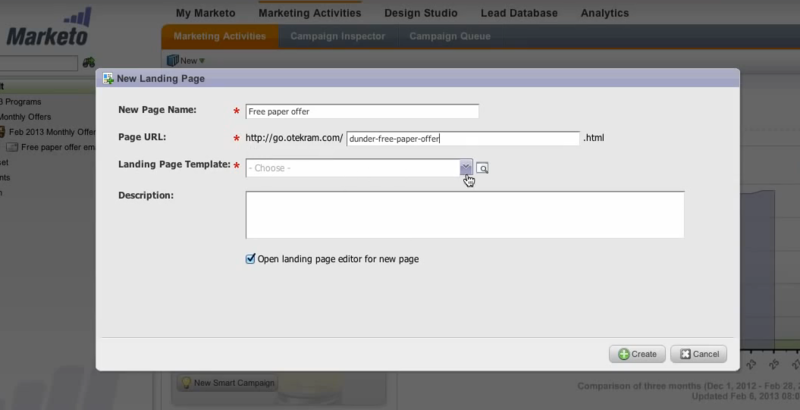 Marketo has a SmartList function that enables you to drag and drop database fields to build highly granular contact lists from the data you capture via your landing pages. Segmentation increases the quality of your touches and is proven to increase open and conversion rates. Some believe you can win at real estate by dedicating half of your day to simply dialing random prospects, hoping your referrals dropped your name or that the other end of the line isn’t aware of the “do not call” list. Or you can leverage Marketo’s sales insight to know which leads are ready for a call and which ones will waste your time, hanging up with a bad attitude about real estate agents. The sales insight feature uses data gleaned from the performance metrics of your outreach efforts to create a traditional, time-honored balance between sales and marketing. The tool orders your call list by frequency of interaction with your marketing, which indicates a willingness to listen to what you have to say. So make it count. Understandably, marketing automation probably isn’t a term in the lexicon of most agents. I get it. Listings drive marketing decisions. However, it can be highly beneficial to have a message working for you when a listing isn’t targeting a specific silo of the market. Print ads with your sales resume and a few postcards are fine; they can work. But how are you measuring them? How are they targeted? 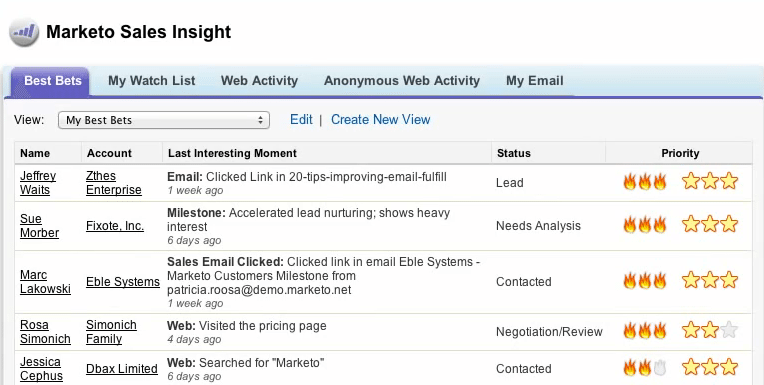 Tools like Marketo help you condense marketing tasks and integrate them smoothly with sales. It avoids the shotgun approach that spends money on homeowners and buyers not interested in your services. Marketo is a heavy wrench; it’s not meant for small operations. It has a Salesforce-driven CRM (customer relationship manager) that’s proven effective, and it steps users through marketing plans that would be significantly more complicated to manage and measure offline. The interfaces could use an update, and the pricing will send all but the larger players scurrying back to Inman for other recommendations. I also find it to be a clinical user experience. Nevertheless, it’s a robust marketing advantage for an agency that’s willing to invest in their brand and put real structure around sales. Do you use Marketo? What do you think? Leave a comment and let us know!